Don’t Hurry, Don’t worry. 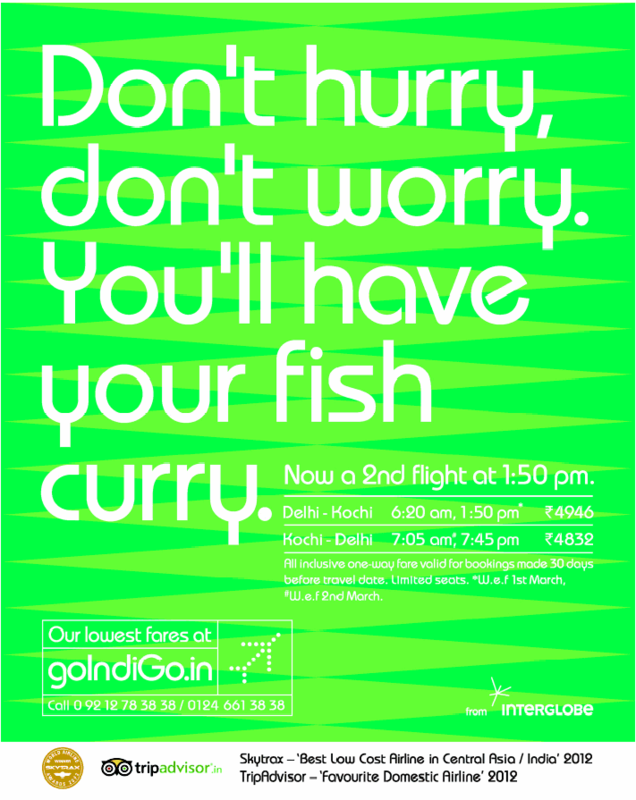 You have your fish curry!! Now a 2nd flight at 1:50pm. All inclusive one way fare valid for bookings made 30 days before travel date. Limited seats. If you have not decided yet or wants to customize tour itinerary or hotels listed above in "Exciting Flight offer from goindigo", then we can change the travel itinerary and make a personalized, tailor-made holiday package, especially for you. We can modify this travel package as per your itinerary, budget, duration and the tourist places you would like to visit, including transportation and airfare should be included or not. Please fill the form below to contact us.